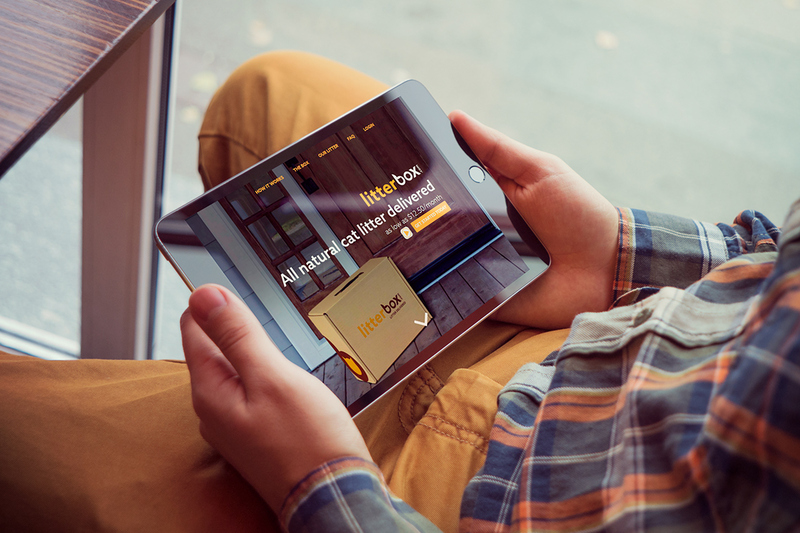 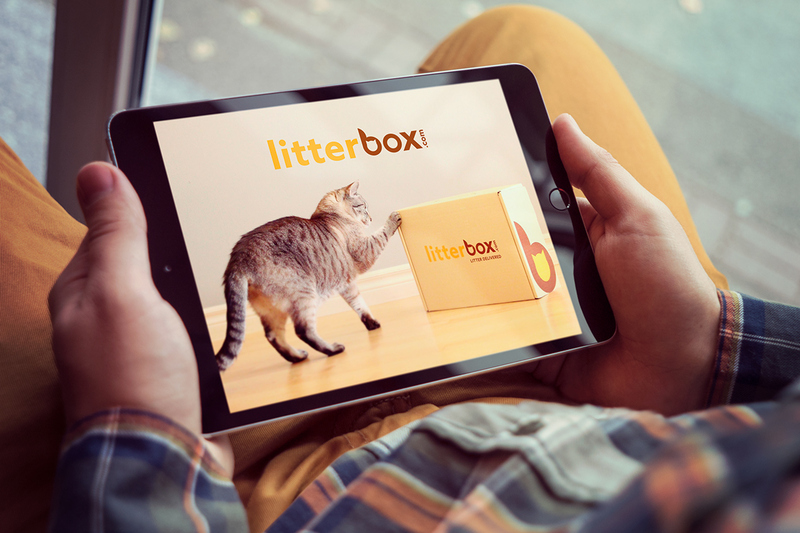 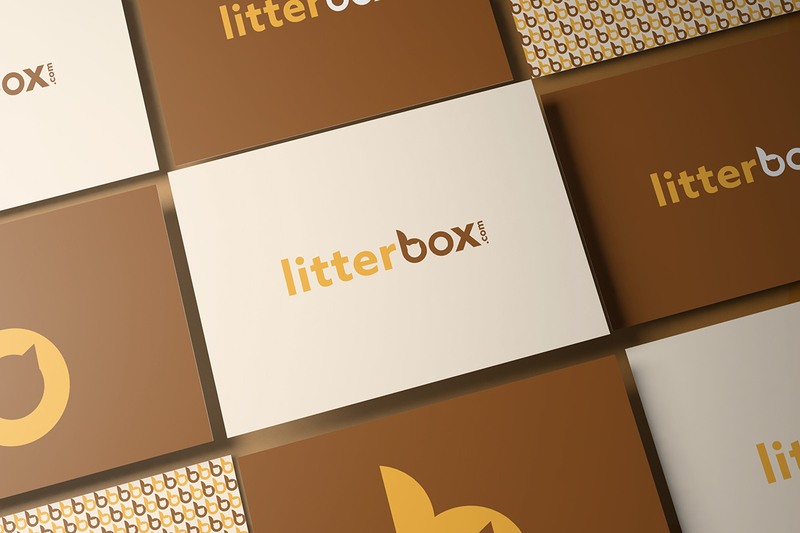 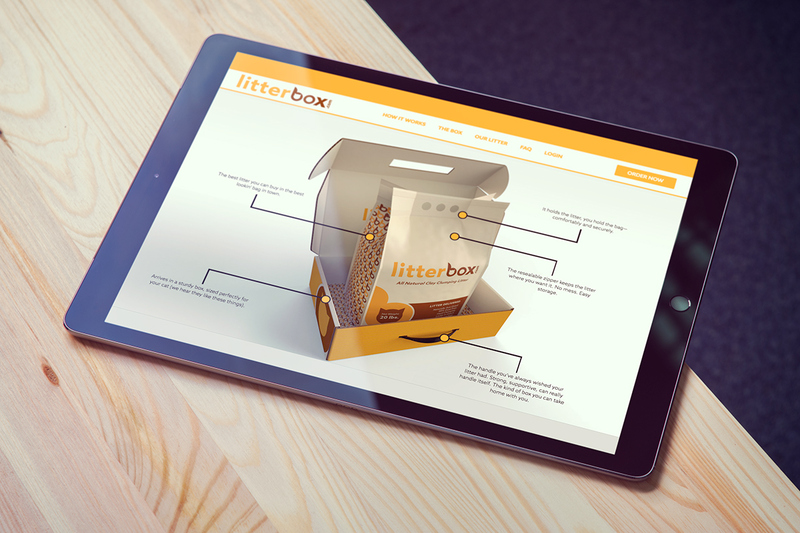 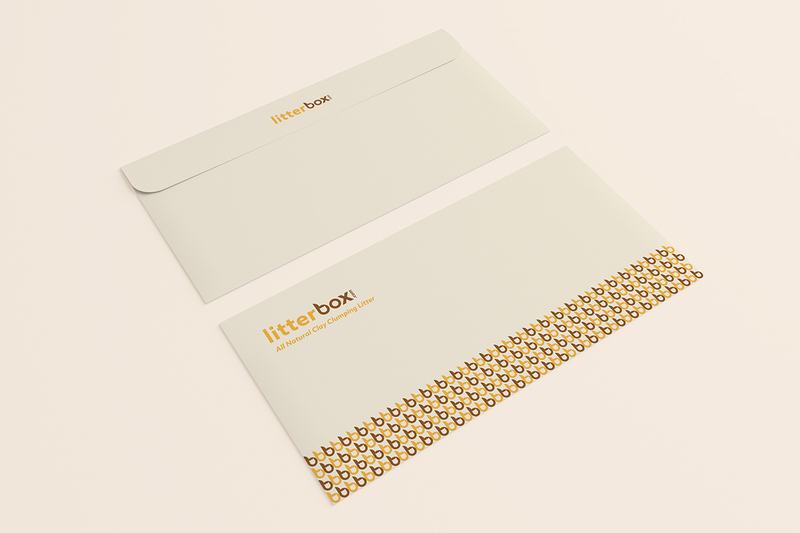 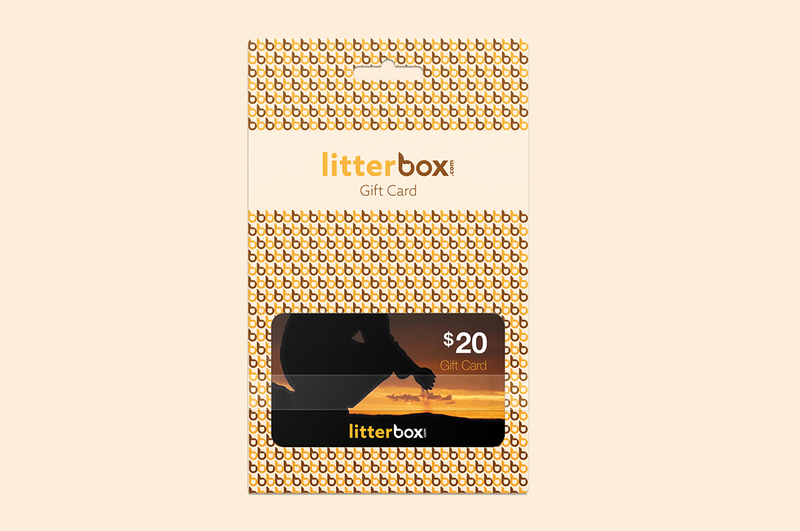 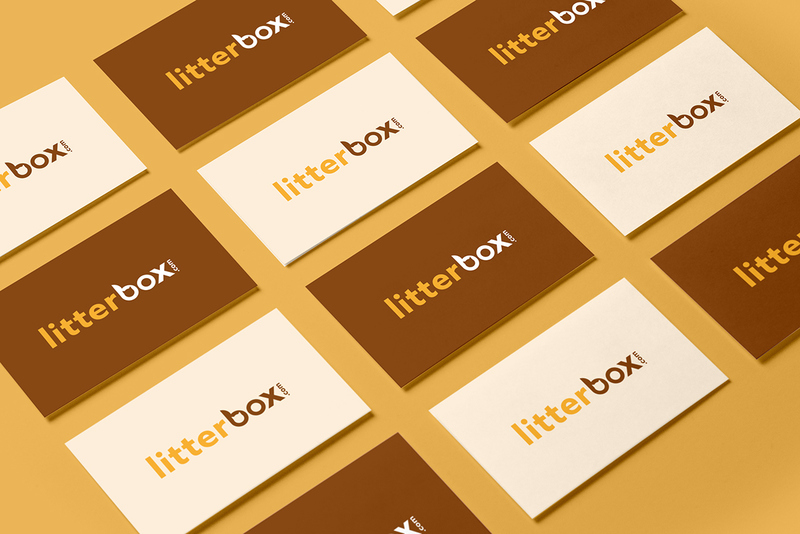 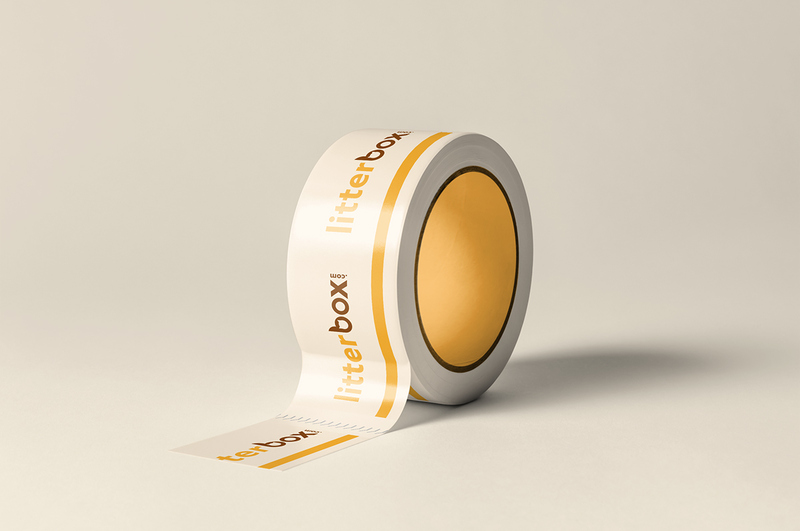 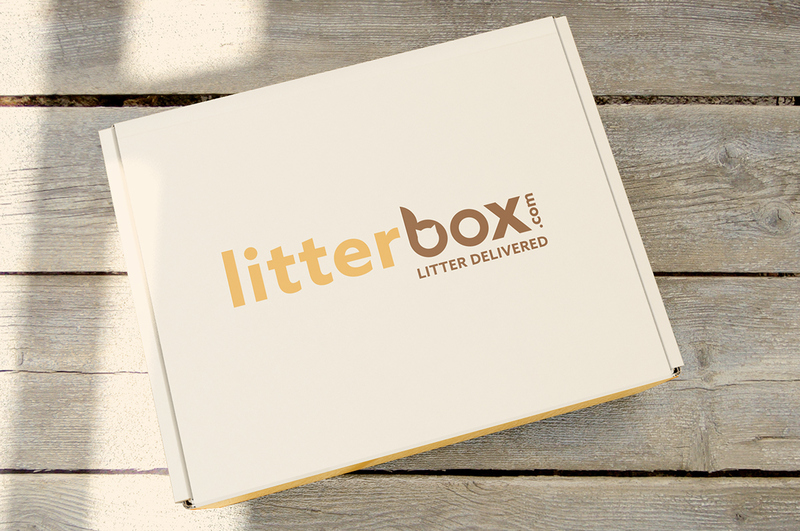 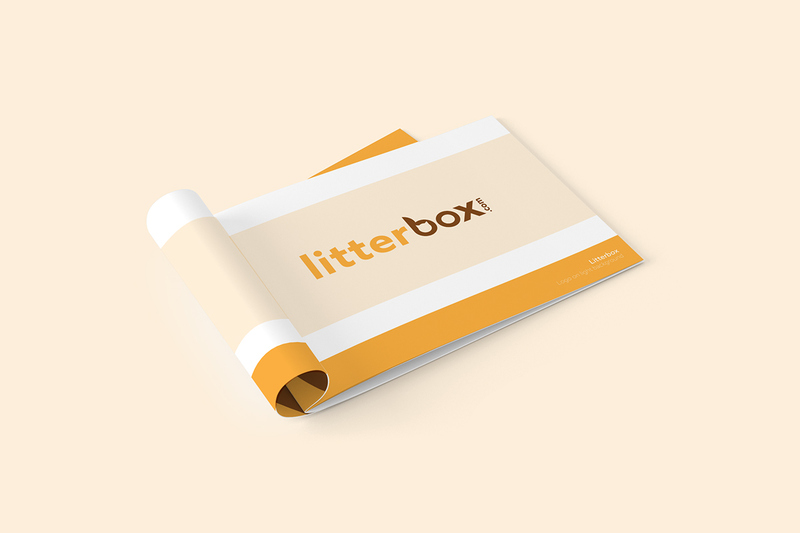 Litterbox.com is a new brand of cat litter that operates as a delivery service through subscriptions or one-time purchases. 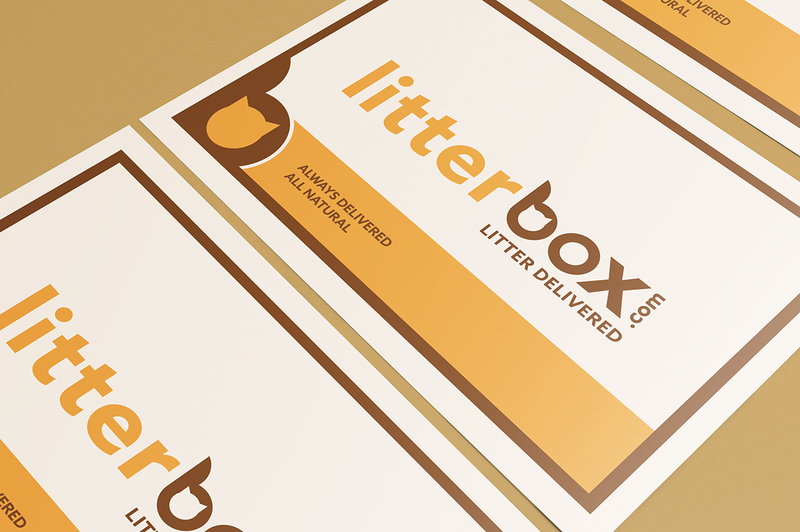 They deliver litter on a monthly (or as needed) basis to cat owners throughout the USA right to their door. 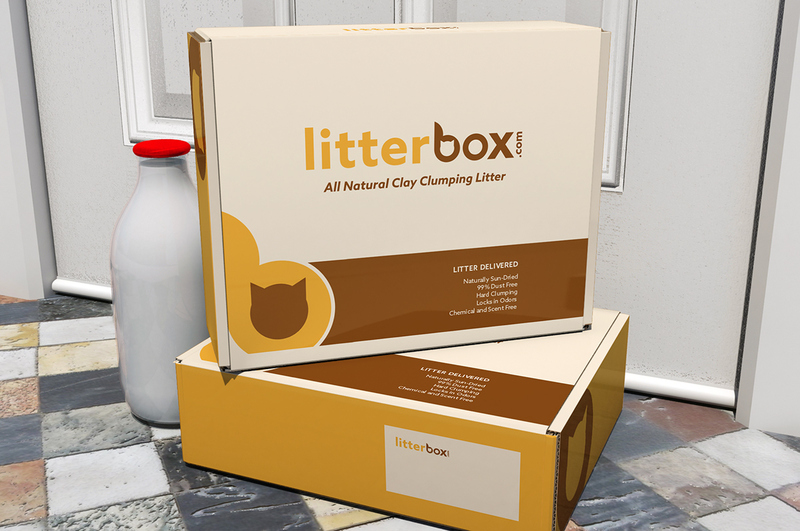 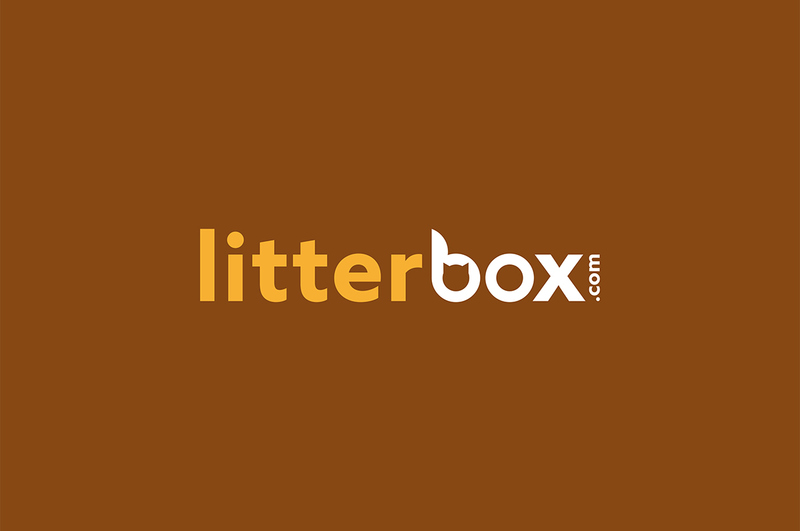 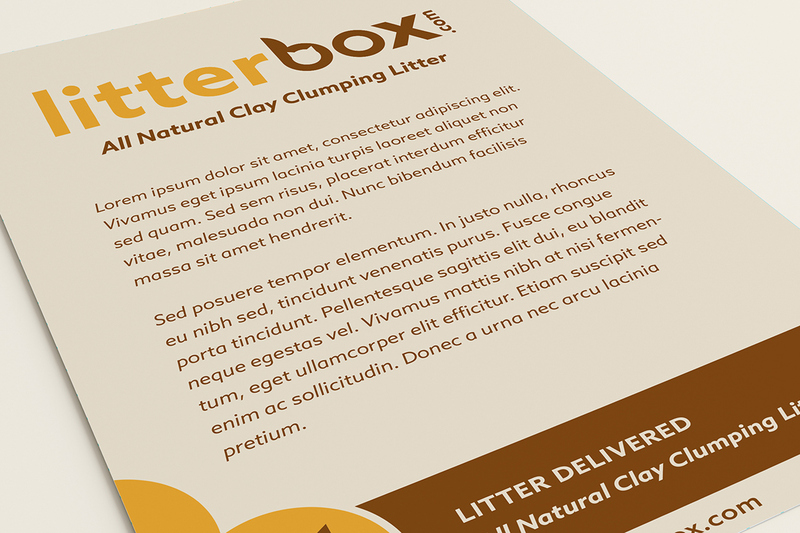 Litterbox.com is the manufacturer / farmer and the retailer (online). 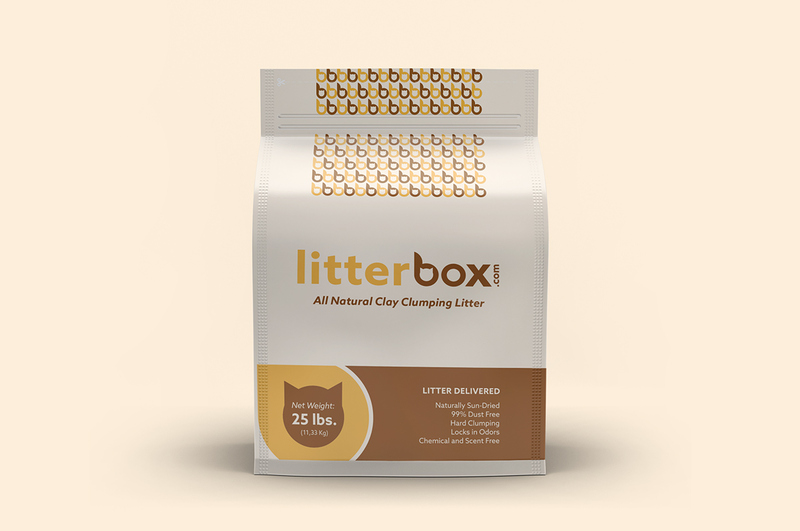 The raw material for this cat litter is a unique, naturally occurring sodium type bentonite, which only exists in the Western United States. 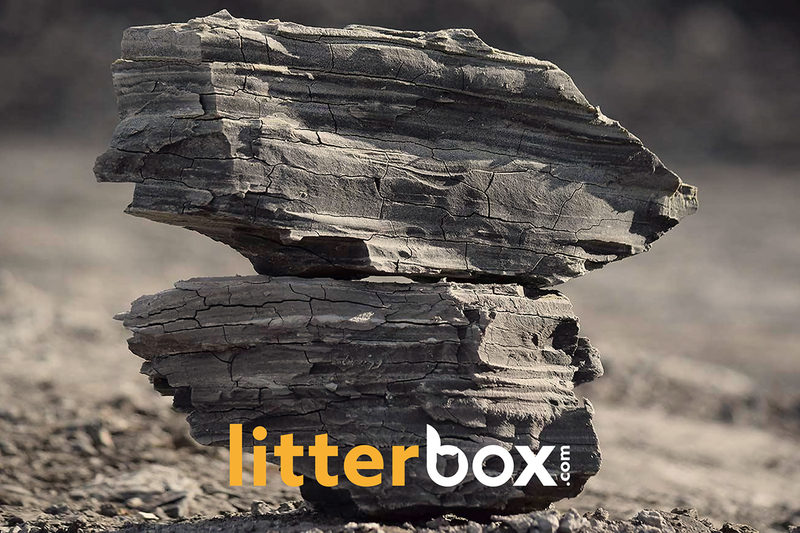 The bentonite is completely sun-dried which allows water to be slowly and naturally evaporated. 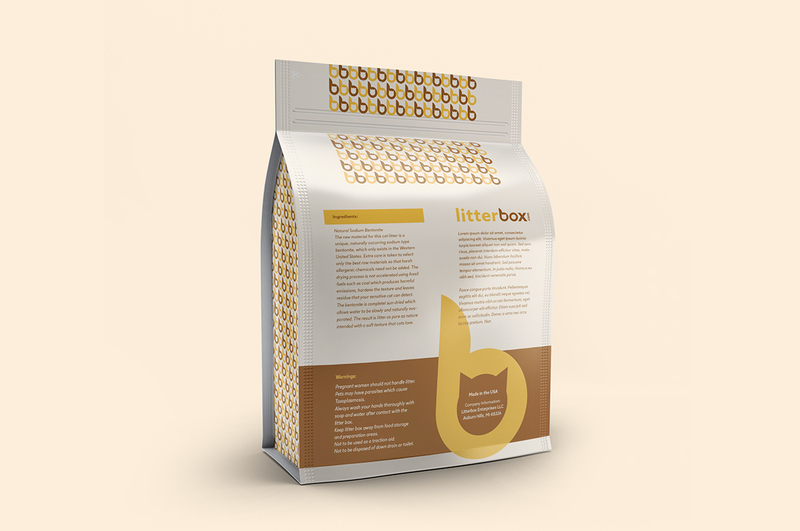 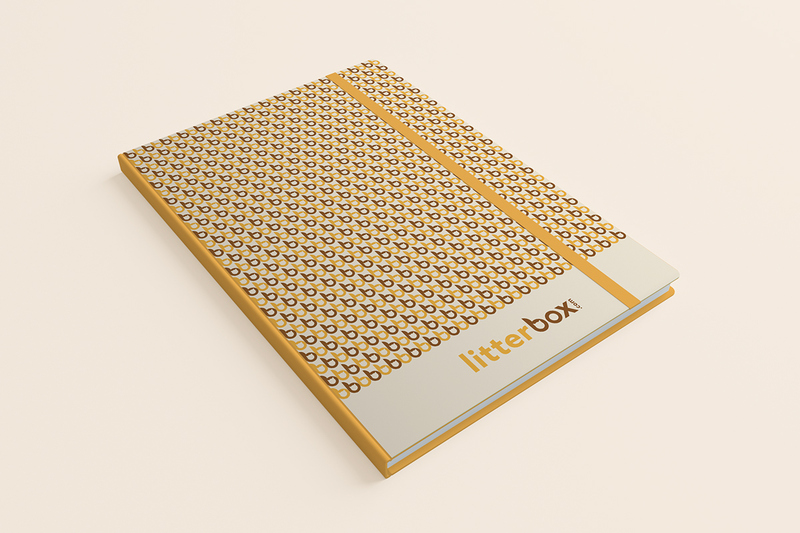 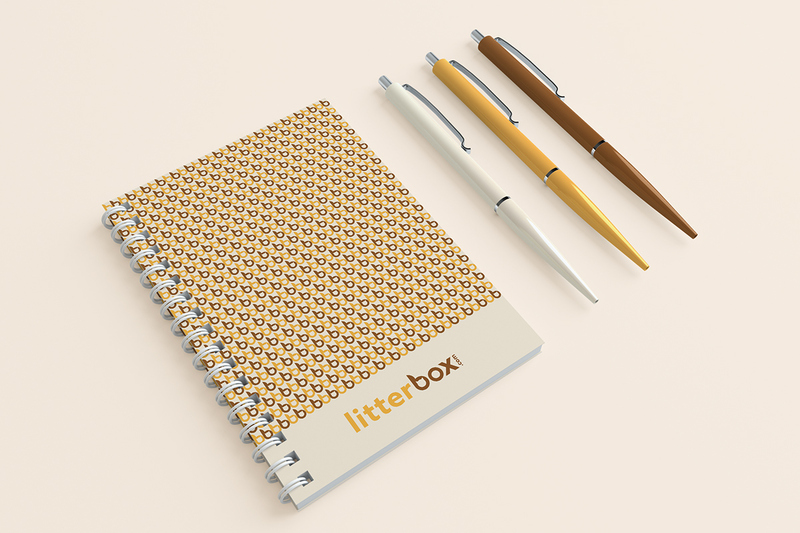 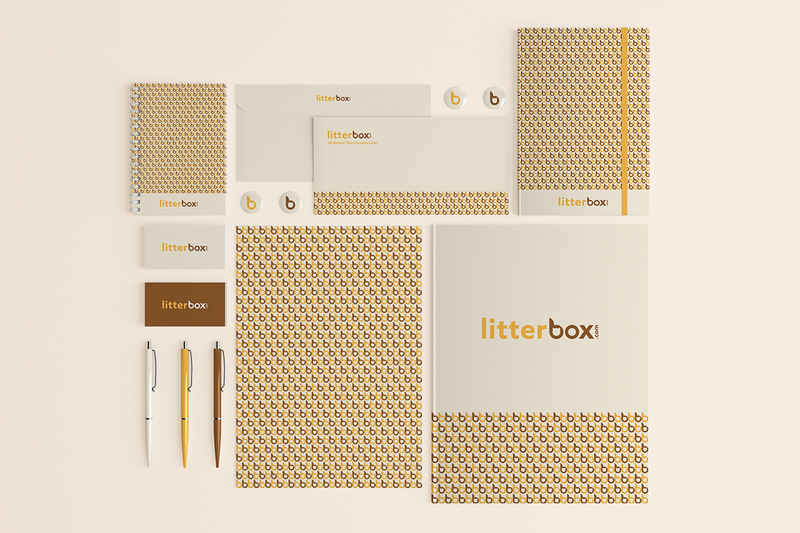 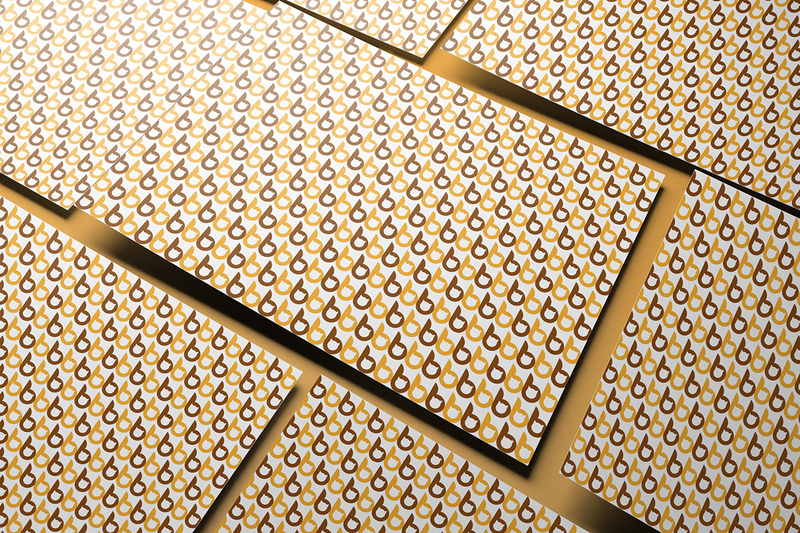 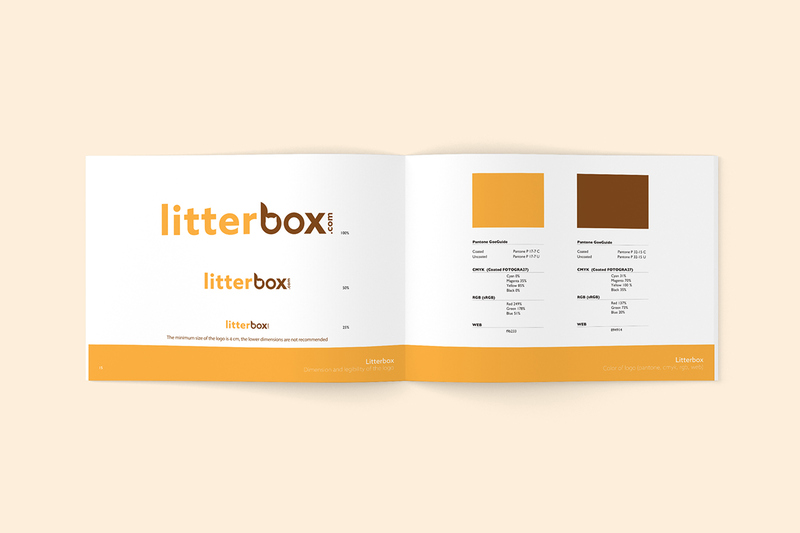 The result is litter as pure as nature intended with a soft texture that cats love. 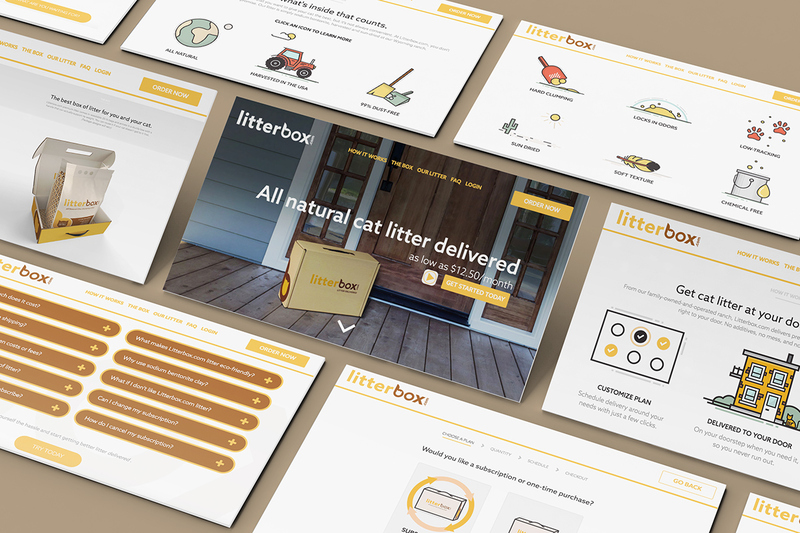 Directly from the farm to your home. 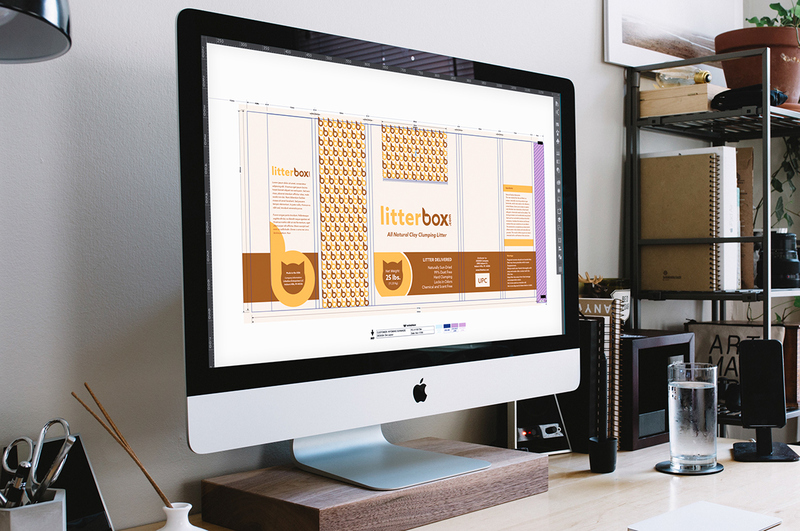 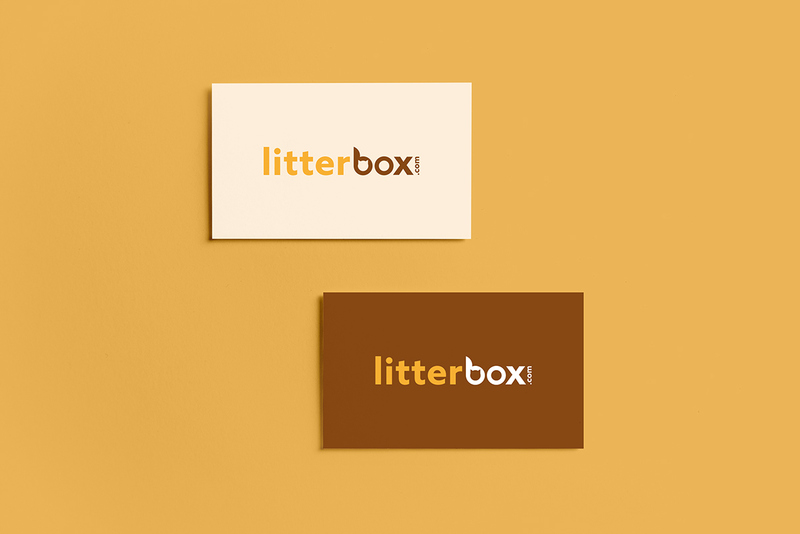 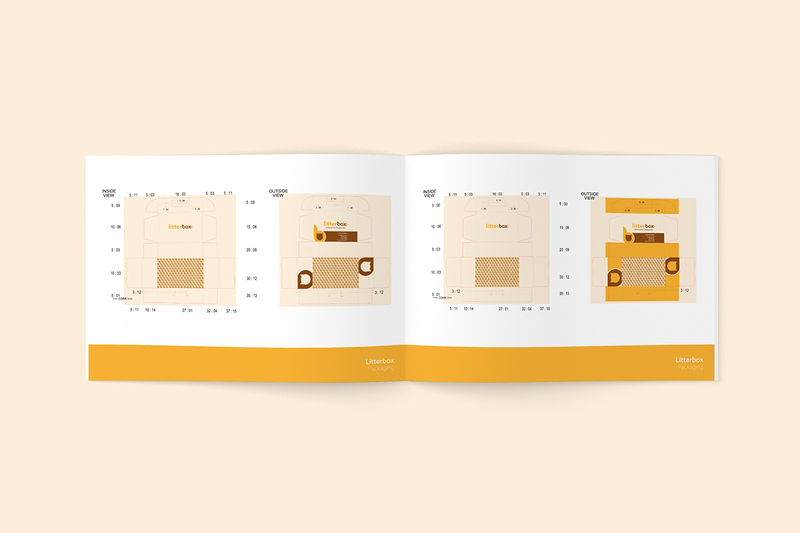 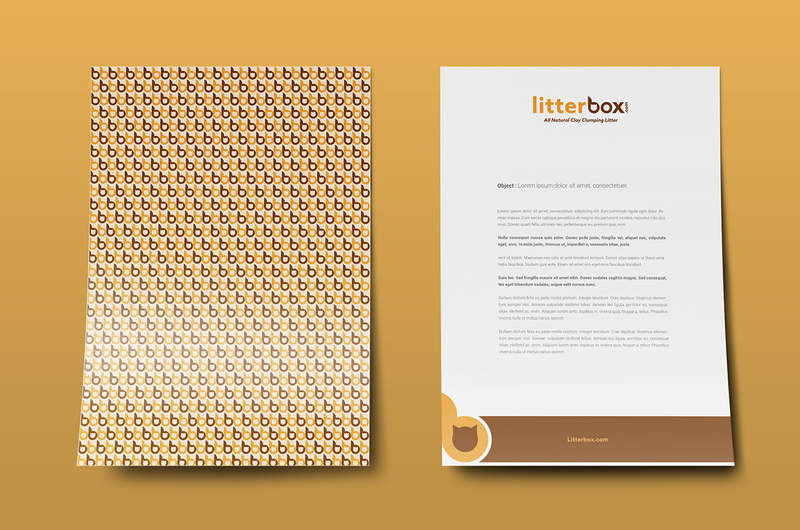 Develop a logo with an icon that is easy to read, simple and represents the brand for what it is: a new brand of cat litter that is organic and delivered to a customers home with ease. 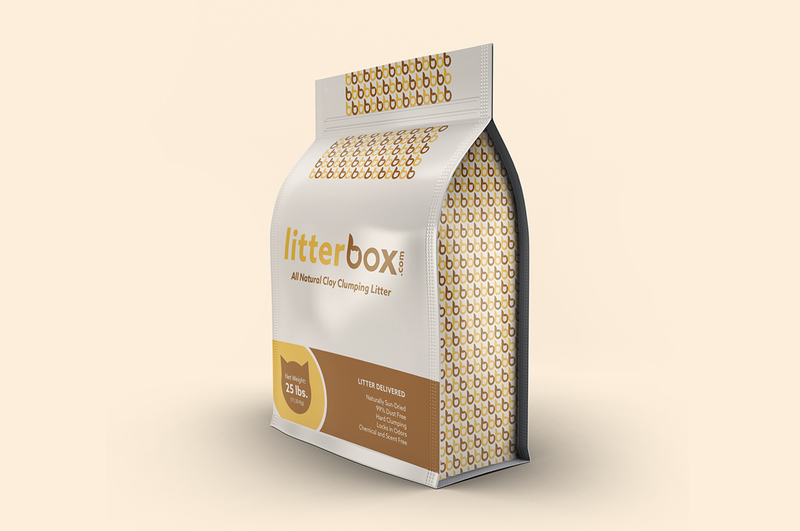 The customer should understand that it is organic/all natural cat litter. 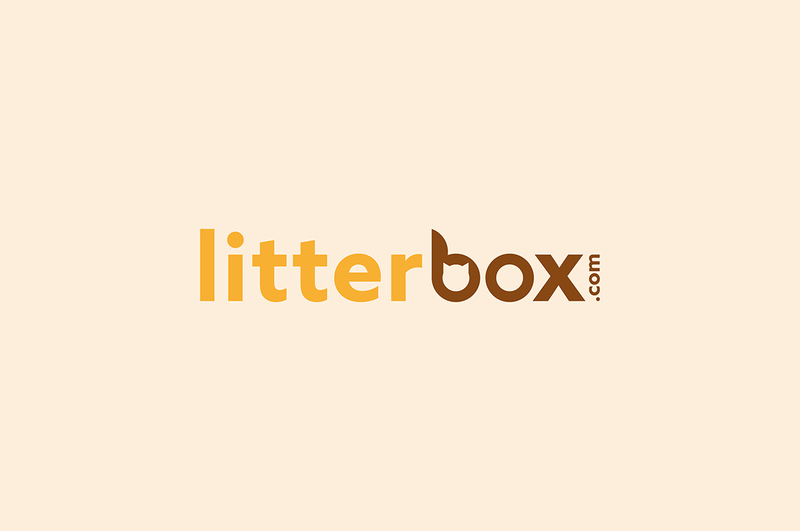 The new logo is a combination of typography and symbols. 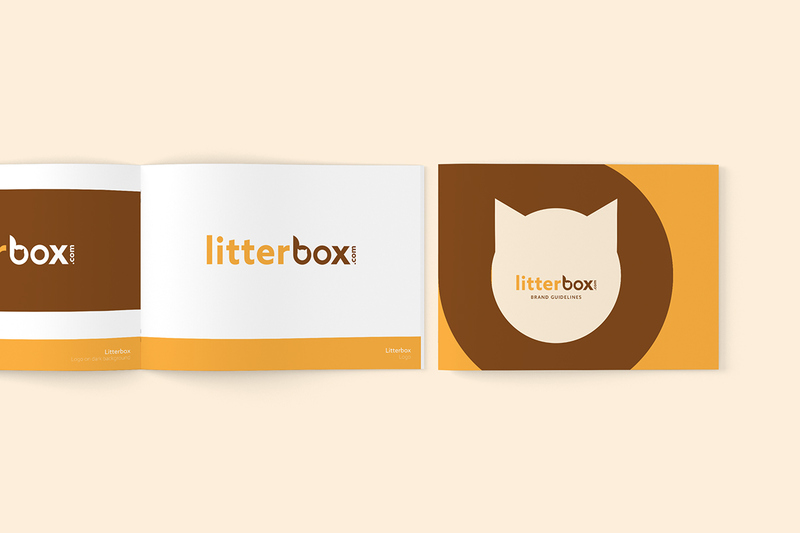 The letter B of Box contains the head of a cat. 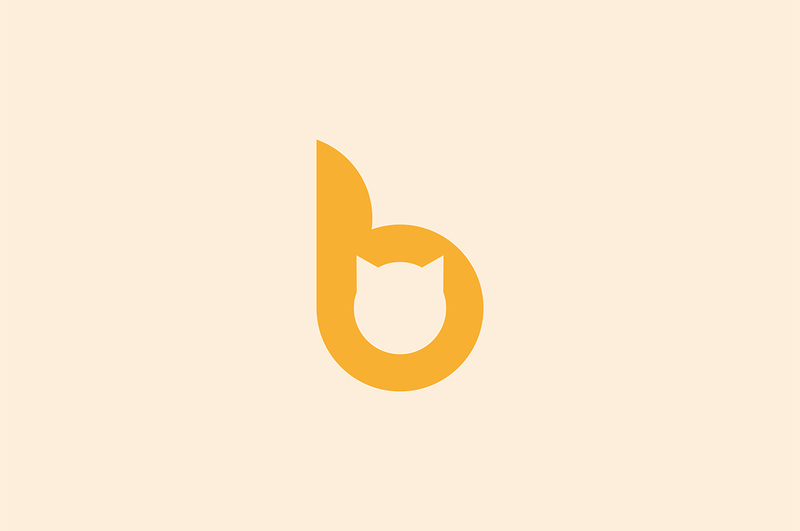 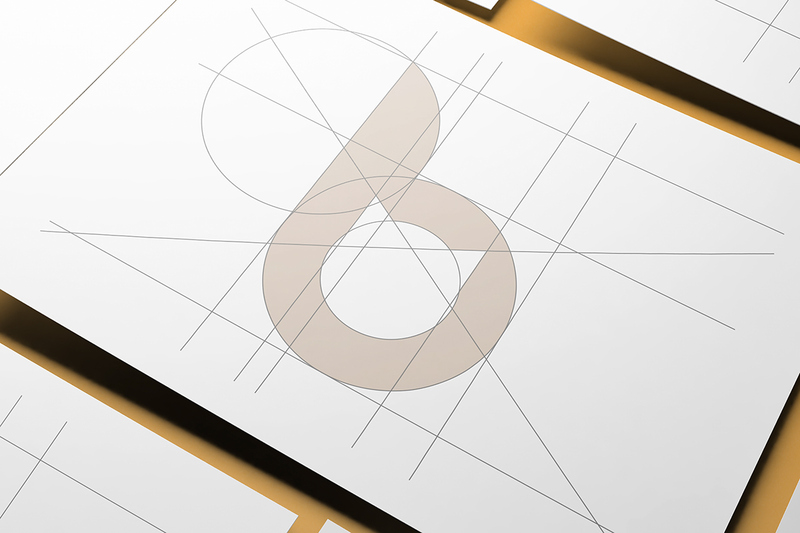 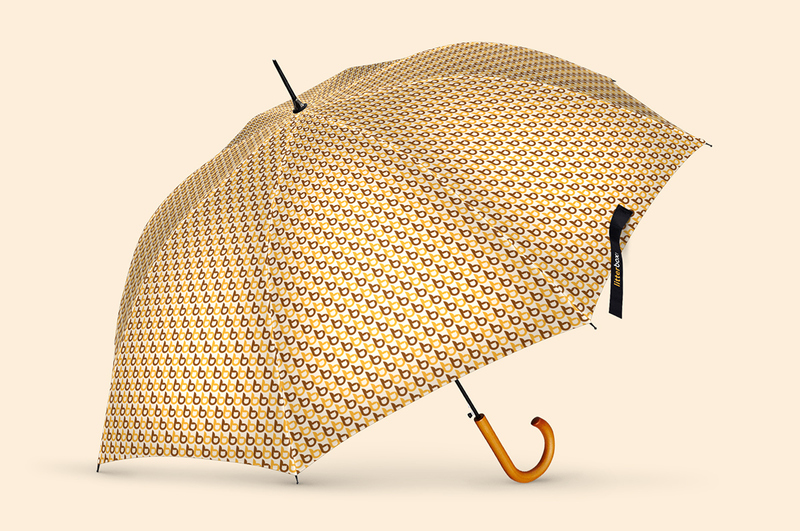 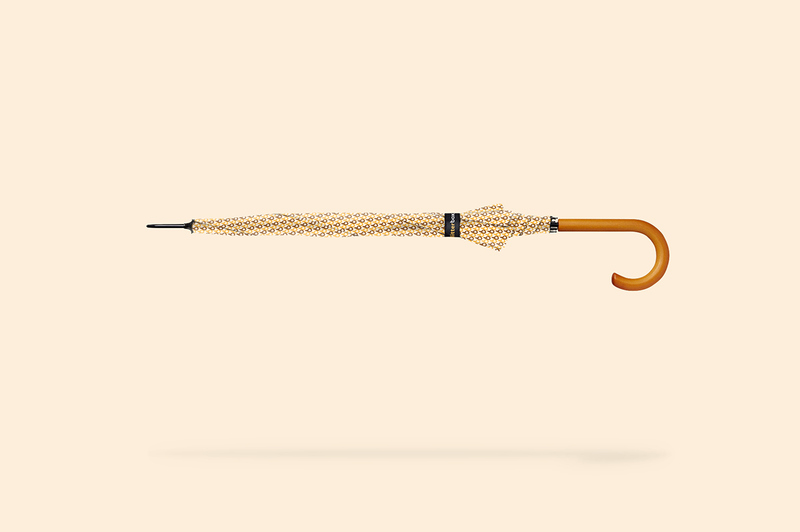 This icon becomes stronger in the development of all the branding elements. 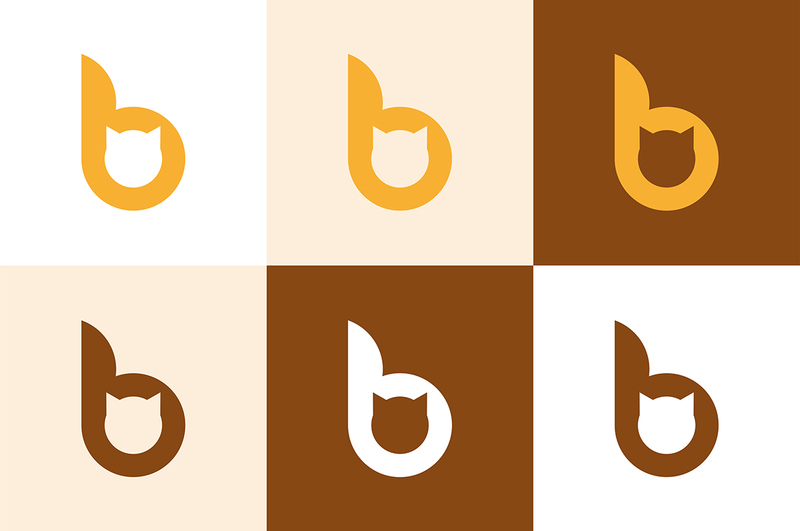 The colors remember the warm colors of the hair cat and the industry of the brand (reference to pee and poo).